For vehicle with manual transmission, there is an opinion stating that upshift gear should be done when the engine produces maximum torque. For example, if vehicle engine produces maximum torque at 3500 RPM, then upshifting gear from 1st to 2nd, from 2nd to 3rd, from 3rd to 4th, and so on, is made when engine speed reaches 3500 RPM. If you follow that rule, it means that when driving a vehicle with maximum torque at high engine speed about 6100 RPM like BMW E60 M5, then any upshift should be done after reaching engine speed arround 6100 RPM, which is very-very high for use in the city. I checked to vehicle manual book, but there is no explanation to constantly change gears when engine speed produces maximum torque. So, when the best time to change gears? For economical driving, always try to keep engine speed as low as possible, but not too low to make the engine lack of torque and transmission vibrates. So, what is needed is sufficient torque for particular load and speed, not the maximum torque. This will vary for each vehicle and can be felt by an experienced driver. For more details about the torque can be read on The relationship between Power, Torque, RPM. 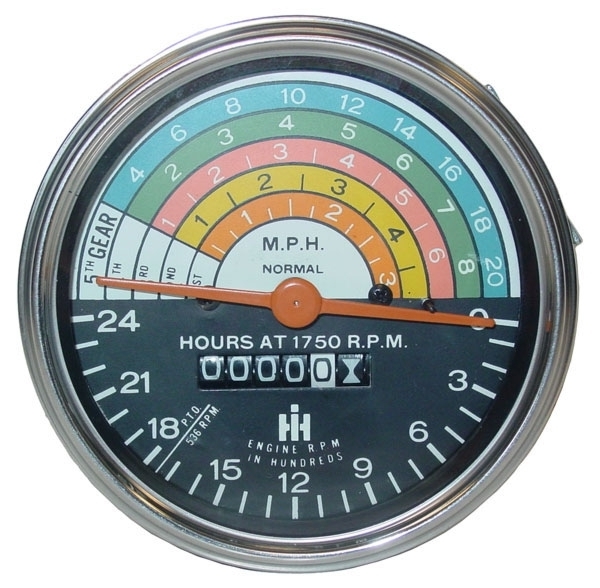 The use of a tachometer can help to determine when the best time to change gears. More details about the tachometer can be read in the article What is Tachometer Function on Vehicle. Some vehicles have engines capable of generating a large torque at low engine speed such as jeep, truck and bus, gear upshif can be done at engine speed as low as 1200 to 1500 RPM. For sedan, gear upshift can be done at engine speed 2000-3000 RPM for economical use. If going up hill or pulling heavy loads then gear shifting must be done at a higher engine speed, up to 4000 RPM. See Fuel economy-maximizing behaviors in wikipedia. Some luxury sedan like the Rolls-Royce Phantom, designed with the engine capable of generating a large torque at low engine speed. Rolls-Royce Phantom engine produces maximum torque of 720 Nm at 3500 RPM engine rotation, and 75% of maximum torque is obtained at engine speed as low as 1000 RPM. The goal is to make it easier to accelerate without the need to press throttle pedal deeply and without the need to shift to lower gear (downshift) when going up hill and acceleration. Rolls-Royce named this easy to accelerate as waftability. On tractor, if it is not pulling heavy load, due to it’s high torque at low engine speed, the driver can start directly with a high gear (3rd or 4th gear). Climb with 5th gear is not a hard thing for the tractor. Shown in the photo below the tachometer of tractor with speed for each gears for a particular engine speed.